For-Profit Colleges vs. Non-Profit Colleges — What’s the Difference? A 50-State Look at Colleges & Universities in the U.S.
Is Blended Learning the Digital Disruption We’ve Been Waiting For? Is Cheating Easier in Online College? Why Go to Online High School? Synchronous or Asynchronous Online Education: Which One Is Right for You? For-Profit College vs. Community College: Which One Is Right for You? Did MLK Predict the Rise of Fake News? 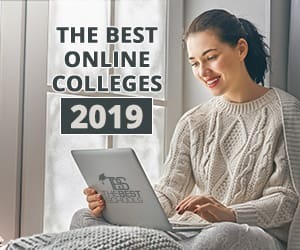 Will Employers Take My Online Degree Seriously? Is Marijuana Legalization Boosting College Enrollment? Teensplainer: Justin Timberlake's Medical Misinformation Campaign—Public Health Advisory Regarding "Can't Stop the Feeling." The Fidgetal Age: Spinning Out of Control? What's Happened to Skepticism in Science? What the @#$%& Are Grawlixes? Auld Lang Syne Means . . .
Jeopardy! as a Modern Turing Test: Did Watson Really Win? An instant PhD changed my life! Ever wonder where Oscar nominees went to school? Is Cam Newton the Next Super-Heisman?